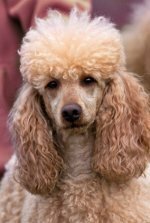 Choosing older poodles over a puppy may be a good choice for people with time constraints or who don't have a lot of patience for housebreaking and training a puppy. Bringing an adult poodle home won't require all the time that a puppy does. Keep in mind that an adult dog will still need to get used to his surroundings, and like a puppy, will probably want to explore the household. But it won't be exactly like taking care of a puppy. Most adult dogs are housetrained, some are not. If he is not, you'll have to train him just like you would a puppy. But adults dog are normally easier to train than puppies, they learn more quickly and they have the capacity to hold their bladders longer than puppies do so there won't have to be hourly outside potty trips. Look in your local animal shelter for a purebred poodle or contact the Poodle Club of America's National Rescue Organization for assistance with obtaining a rescue dog near you. Rescued dogs are waiting for adoption into a loving home. Unlike caring for a puppy, adult dogs normally won't chew things like puppies will. Buying her a chew toy is a good idea. An older poodle will probably know her name, words and basic commands so you won't need to spend as much time training her. An adult poodle could come with habits you aren't pleased with. If so, teach her how things should be done, and she'll learn quickly with a desire to please you and fit into her new home. Your new adult pet will need lots of love and affection while he gets used to his new home. You'll need patience to gently and lovingly teach him the rules of your household. Give him a few weeks to learn, and you'll have a loving new family member. Get the background on your adult dog. Where did he come from? Why is he looking for a new home? Are there any health or behavioral issues you should be aware of? Ask for his medical records, ancestry information and AKC registration information. Older dog health problems may exist, so ask when the last time he had a vet checkup was. Senior dog health need not be a problem if he's up to date on his vet visits. An adult dog has just as much love to give as a puppy. Through no fault of his own, he ended up at a shelter or rescue shelter. 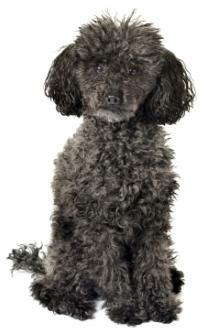 By making a grown poodle a part of your family, you'll be saving him and bringing a loving companion into your family.